Home > News > Fertility and Health > How Does Age Affect Male Fertility? With regards to fertility, women have always had a clear cut-off point, commonly known as the menopause. Men, on the other hand, have never been given a rough age in which they will no longer be able to conceive a child. As a result, research surrounding the topic is fairly sparse. At a recent event dedicated exclusively to male fertility, the topic of age was addressed. The first speaker at the event was Professor Allan Pacey from the University of Sheffield. He pointed out the lack of data surrounding the matter and discussed a study from the year 2000, which focussed on 8500 couples and suggested that men under 25 were significantly more fertile than men over 40. It has always been known that male fertility slowly declines with age but the degree of this is subject to discussion. Pacey continued to emphasise the fact that there have been no similar studies since, leading to a sense of inequality when concentrating on parenting. Where the media is concerned, older fathers are often celebrated, while older mothers are frowned upon. Additional professional speakers took to the stand to explore male fertility and what can be done about it. Professor Chris Barratt from the University of Dundee focussed his speech on the rising median age of fathers over the last 20 years, suggesting that by 2100 there will be a major increase in the number of older fathers. This will lead to a variety of complex problems. Professor Richard Sharpe from the University of Edinburgh’s Centre for Reproductive Health explored the matter of testosterone changes and how it naturally declines with age. He mentioned that men with low testosterone will not only have reduced sperm production, but also have a greater possibility of diabetes, obesity and cardiovascular disease. The final speaker was a consultant gynaecologist, Dr Sarah Martins da Silva, who provided a different perspective. She said that when couples visit a fertility clinic, the topic of paternal age is rarely discussed, while the woman is closely examined. Dr Martins Da Silva suggested that male age should certainly be considered, perhaps by adding male and female age together when considering fertility treatment options. All speakers at the event agreed that male fertility is something that should be more carefully considered. Rather than seeing infertility in men as an unsolved problem, it should be seen as a problem yet to be explored. At Concept Fertility, we test both the male and female partners in order to carefully diagnose the causes of infertility and provide bespoke treatment. 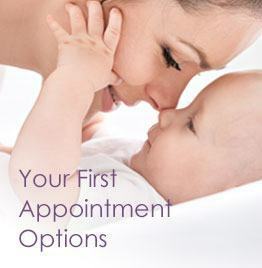 If you are struggling to conceive a child, please don’t hesitate to arrange an appointment with us.